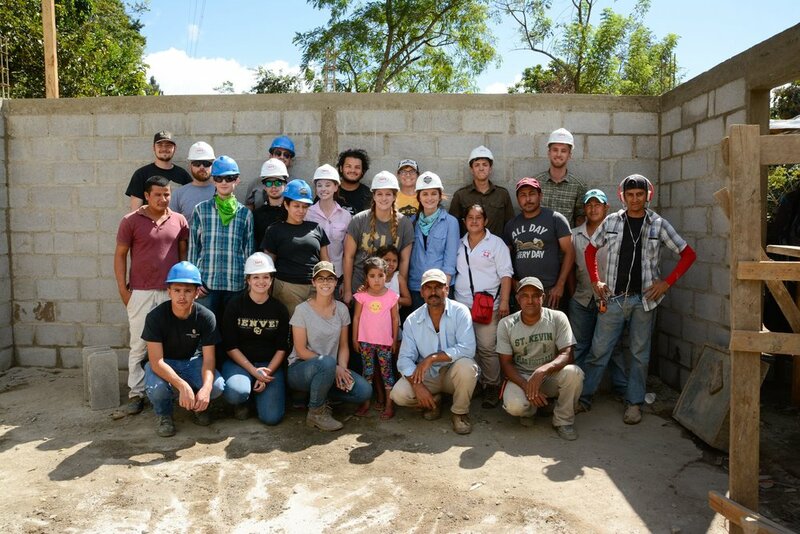 Last year's team designed and built a community center with a women's health clinic for the hamlet of Santa Rosa in the Jalapa Valley. We were given very rough ideas and measurements of what they might want from us, aside from the program requirements. With that we wanted to give them was a lot of options prior to construction phase. Our design has been focused on the initial idea of providing an idea for a space that engages the user from both sides of the wall. We had two main design drivers that seemed like important things for us to address. Both air flow and light into the space was essential to consider. Inspiration came from the brick open weave wall idea as a way to left light and air into the main space. Secondly, the addition of a lifted roof exhaust port was also added in order to give both light and air flow as well. After speaking with Karla we need to redesign the main shape of the building, and still propose the previously mentioned design details. See details HERE. The site design team is focusing on keeping a hill at the back of the site retained. Because of the relatively small budget, our team has opted on using a rammed earth tire retaining wall. Surprisingly cheap yet reliable, the tire system has been used more and more frequently in designs. Using tires instead of concrete has allowed us to add the aesthetic quality of using Sunflowers, which are also used to filter the soil beneath the wall. See details HERE. Our goal as the security group is to design an elegant but secure rebar grill. We focused on the natural elements of Nicaragua to enforce our design ideas. The Nicaraguan community made the decision to remove window openings from the structure, therefore our focus shifted to the perimeter of the site. We also focused on using simple curves that overlay on each other to create a natural form but still allow them to secure the site.